King George VI 10sh dull green and brown red on green ordinary paper perforation 14 mint. The fifth printing. 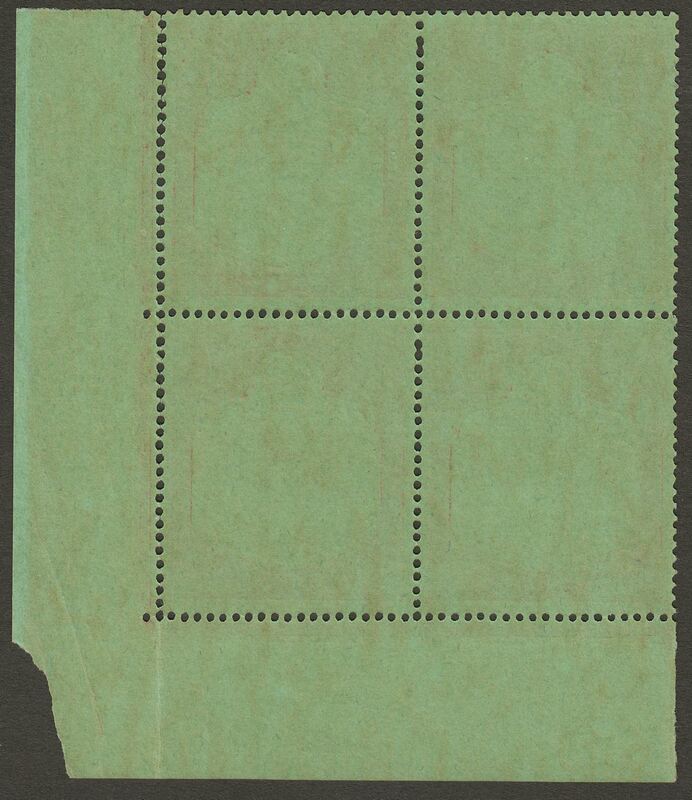 Has been folded along vertical margin and with perforation separation between that margin and the stamps, also with pencil marks on front and missing margin corner. Unmounted mint.